Getting the most enjoyment from any home is an ongoing process – it never ends. Regardless of the home’s age and style, there are many different ways to upgrade and improve a home’s value over time. 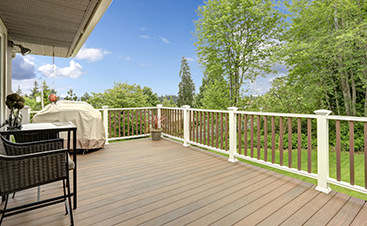 One of the best and most enduring investments in a home is hardwoods because there is a timeless beauty and appeal to hardwoods that is impossible to beat. Thinking about the many hardwood options, here are 3 ways to use hardwood to upgrade your New Jersey home. Hardwood floors have been installed in building homes for a very long time to add elegance to the interior. However, over time, hardwood floors will loose their shine and character. When this happens it is time to refinish the floors. While there are some people who are skilled enough to redo their own floors, it bears mentioning that refinishing hardwood floors is hard work and best left to professionals. In choosing a hardwood floor refinisher to do the work, the best advice is to talk to friends who have had floors refinished and to interview at least three contractors before settling on one. Price is also an important decision because refinishing floors is expensive, especially if there is repair work involved. Most Realtors and housing experts will state unequivocally that hardwood floors add more value to a home than carpeting. Although the initial investment in hardwoods is higher than carpeting, hardwood floors last longer than carpeting and are easier to keep clean. They also add a sense of style and character that carpeting is unable to match. There are three types of hardwood floor and one of them will fit into any décor — strip, plank and parquet. The oldest homes will typically have strip or plank floors, depending on the home’s style and when it was built. Surprisingly, many builders of older homes used a variety of wood types throughout the house. A professional can identify the different woods and select a stain that will be uniform in color and tone for every room. One of the unexpected surprises for a homeowner is to find hardwood floors underneath old carpeting. This discovery presents an opportunity to replace lackluster carpeting with impressive hardwood flooring. The difference the change to hardwoods makes in a room is amazing. When most people think of “hardwoods,” the first thought goes to flooring. Consider hardwood cabinets in the kitchen, bookcases in a living room or den and cabinetry in any room as a sophisticated upgrade to dramatically change the look and feel of the room. 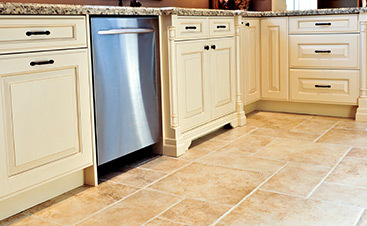 Like flooring, cabinets can be finished in a wide variety of stains to provide a warm and inviting sense of comfort. Hardwoods hold their beauty and last for generations. 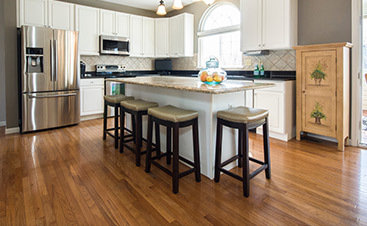 Whether hardwoods are used in flooring, cabinetry — or in both, it is one of the best long term investments a homeowner can make to increase the value and enjoyment of a home. 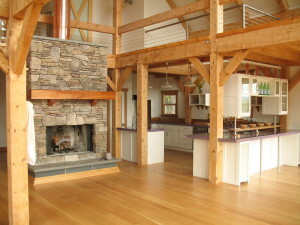 Need help with hardwood for your New Jersey home? Contact us today.